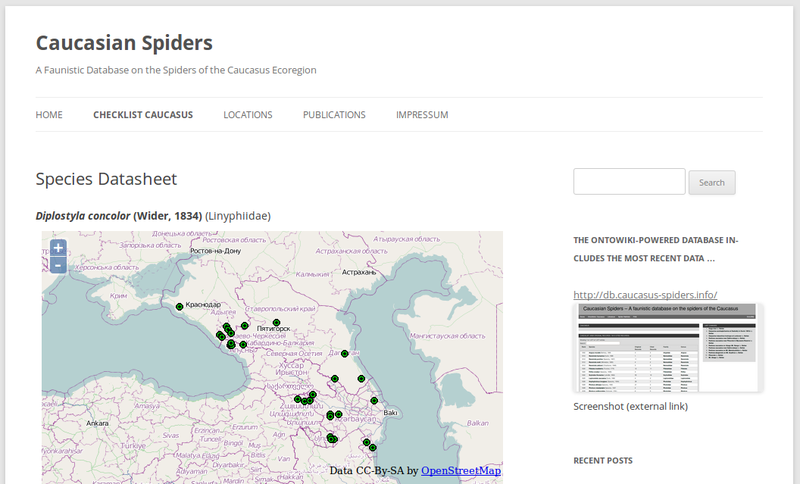 Homepage of Caucasian Spiders Database (click to access homepage). 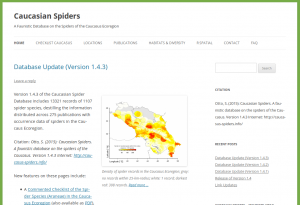 Version 1.4.3 of the Caucasian Spider Database includes 13321 records of 1107 spider species, destilling the information distributed across 275 publications with occurrence data of spiders in the Caucaus Ecoregion. Front page of article (click to download PDF). cations or related reasons. A record density map for the Caucasus Ecoregion is provided. Dieser Beitrag wurde am Oktober 21, 2015 von Stefan in New Publication, Research, Uncategorized, Update veröffentlicht. 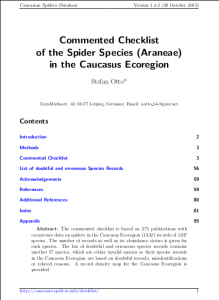 Schlagworte: Caucasus, CaucSpiders Database, Publications, R.